Though our water undergoes many steps to become drinkable, there are many microbes that remain and have the potential to cause disease. 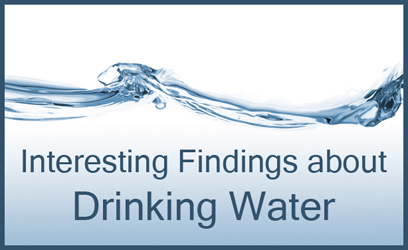 A December study conducted in China aimed to determine the microbial compositions of water before and after treatment. This study was unique because it also sought to find the difference in microbial functions in the two types of water, something that has not been addressed in too many previous studies of this kind. The microbial composition was found to be quite different in raw water (RW) and treated water (TW). RW primarily had Gammaproteobacteria and Betaproteobacteria, whereas TW had Alphaproteobacteria. Surviving bacteria had a higher resistance to chlorine, suggesting that Alphaproteobacteria may be more tolerant to high chlorine levels. The water treatment process did not seem to affect amino acid and carbohydrate synthesis, but there was a significant increase in the stress response genes (i.e. glutathione synthesis genes). This article was particularly interesting to me because I recently learned about a few topics addressed in this article in my Microbial Diversity class. It’s always nice to apply concepts learned in the classroom to real world scenarios! Sabreen Aulakh is an undergraduate researcher in Jonathan Eisen's lab at the University of California Davis.